There’s an old saying about flying aeroplanes with retractable landing gear: ‘there are those that have, and those who will’ have a gear-up landing. Landing without extending the landing gear is a frighteningly common occurrence. It is almost always the result of pilot distraction, or an interruption of usual habit patterns. 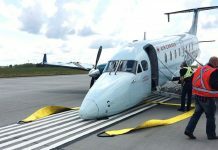 Studying the problem of ‘landing gear-related mishaps’ for over a decade, I’ve found factors in gear-up landings that are repeated again and again. Learning from these patterns, we can come up with several techniques for avoiding landing with the gear up—becoming not one of those who will, but instead one of those who won’t, have a gear-up landing. Perhaps the reason ‘those who will …’ is so pervasive is the fact that gear-up landings happen so very often. The number of gear-related mishaps is much higher than most studies would lead us to believe. Gear-related mishaps are by definition exempt from the United States’ National Transportation Safety Board (NTSB) reporting requirements. Unless a passenger is seriously injured, or damage goes beyond propellers, gear doors, cowlings, flaps and lower surfaces—the typical results of gear-up landings—the mishap reporting regulation specifically says NTSB does not want a report. Since virtually all mishap studies take their raw data from the NTSB, the true number of gear-up landings is vastly underreported. Tracking accident reports through other sources, I’ve found that nearly 20 per cent of all accidents in piston-powered, retractable gear aeroplanes are gear-up landings. The US Federal Aviation Administration (FAA) tells us there is an average of three gear-up landings every week in the United States. Given that there is no regulation requiring mishaps be reported to FAA, even this figure is likely quite low. If there is nothing more fundamental than putting the wheels down before landing, why are gear-up landings so common? Gear-up landings always result from two things—pilot distraction, and deviation from normal routine. Anything that interrupts the pilot at a critical time can contribute to a gear-up landing. Poor pilot procedure can prevent a pilot from catching the error before it’s too late. One reason gear-up landings are so common, in my opinion, is that pilots do not take the time during a retractable-gear checkout to ingrain a new habit pattern for landing, one that is different from that used in fixed-gear aeroplanes. Say you’re flying downwind in a fixed-gear aeroplane. When you want to begin your descent from pattern altitude, what do you do to initiate the descent? That’s right. Reduce power and the aeroplane begins to descend. Do this a few dozen or hundred times and you don’t even think about the need to reduce power to descend. Now say you’re flying a retractable-gear aeroplane. What might you do when it’s time to descend from pattern altitude? Extend the gear. In most retractable-gear aeroplanes, extending the landing gear causes the aeroplane to enter a roughly 500 foot per minute descent. Putting the gear down to initiate descent achieve the performance requirement while helping you prevent a gear-up landing. But let’s say you get distracted—by other traffic, a sick passenger, or any number of other things—just as you’re ready to descend below pattern altitude. If you revert to what’s most familiar to you, what you first learned in fixed-gear aeroplanes, you’ll pull power to begin your descent. And the aeroplane will go down. If you continue to be distracted and don’t deliberately check gear position, the first indication that you forgot may be the sickening sound the propeller makes when it hits the pavement. Those who won’t—tip #1: Use gear extension, not a power reduction, to initiate final descent. Initial checkout in retractable gear aeroplanes needs to give sufficient practice in the pattern to replace fixed-gear habit patterns. Psychological studies tell us that it takes twenty or more repetitions to change habit patterns, and continuous practice with the new habit to permanently change behaviour. Clearly, the mishap record shows the traditional ‘three times around the patch’ RG checkout is not sufficient to avoid gear-up landings. Those who won’t—tip #2: Budget enough time during RG checkout to develop habit patterns that will stick when you’re distracted or under pressure. Proper RG landings must include a final-approach check of gear position. Many pilots use the GUMP check—for ‘gas’, ‘undercarriage’, ‘mixture’, ‘prop’—to ensure configuration for landing. Calling the check aloud helps you not just think, but actually do the check. I like to do this verification no lower than 500 feet above ground level (AGL), to catch an error, with plenty of time to smoothly go around if needed. Those who won’t—tip #3: Always make a short-final gear position check. There are several contributing factors that appear regularly in gear-up landings. Modified pattern. Often a gear-up landing results when another aeroplane interrupts the pattern for the retractable-gear pilot. Aeroplanes cutting ahead in the pattern, taking off or landing in the opposite direction or on an intersecting runway may cause the RG pilot to have to modify his or her approach. This results in a non-standard pattern that distracts and interrupts the pilot’s flow, and contributes to forgetting the landing gear. Strong or gusty surface winds are a very frequent factor. Strong surface winds usually mean low-altitude turbulence, which itself can be distracting. Turbulence may lead to distraction from nervous or sick passengers. Flying downwind in the pattern in windy conditions, ground speed is high, rushing the pilot and perhaps interrupting the flow of events. Turning onto final approach into strong winds, ground speed will drop, and the angle of descent over the ground will steepen. This results in visual cues that make it look like the aeroplane is descending slower on a steep gradient—the approach looks as if the landing gear is down. Electrical failures often correlate with gear-up landings. Since most retractable gear is powered by electric motors or by hydraulic systems that are in turn electrically activated, an alternator or generator failure may contribute to a gear-up landing. Every retractable gear design I know has a method of manually extending the landing gear if the electrical system fails. Frequently the pilot is so distracted by the electrical failure, however, that they forget to extend the landing gear. In some cases the pilot later reports not knowing a manual landing gear procedure even exists—testimony to very poor instruction when getting checked out in the specific model of aeroplane. 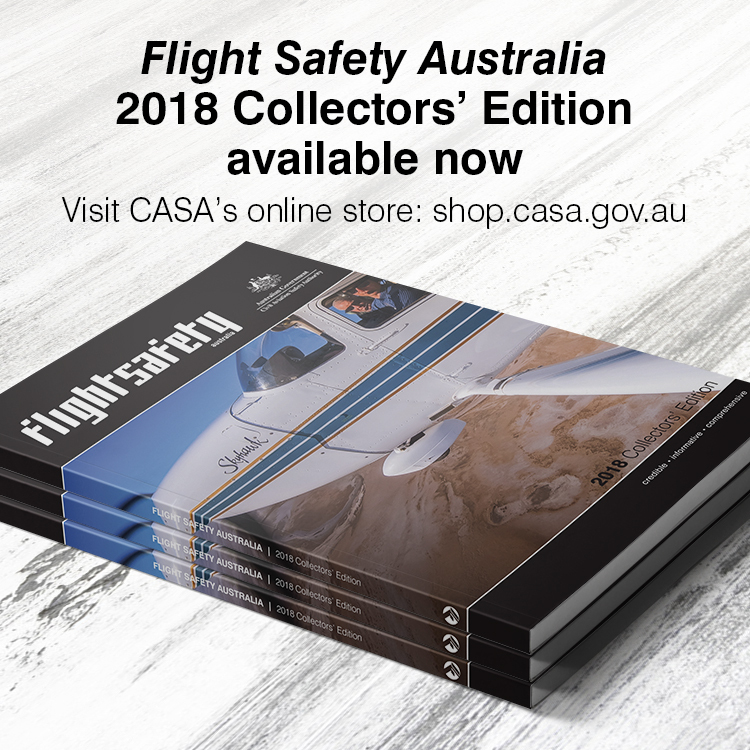 Those who won’t—tip #4: Recognise that modified or interrupted traffic patterns, strong or gusty surface winds, and electrical failures frequently contribute to a gear-up landing. Be especially gear-conscious if you find yourself in these conditions. Those who won’t—tip #5: Know and practise the aeroplane’s emergency gear extension procedure, and keep the checklist handy at all times. Strangely, a large percentage of gear-up landings happen with an instructor pilot on board, providing dual instruction. In fact, this is the single-most common correlation. And it’s not always during an initial checkout in the aeroplane—it often happens with an experienced pilot receiving a flight review. You’d think that a second pilot on board would make a gear-up landing almost impossible. It may be, however, that the student pilot subconsciously thinks the instructor will keep them safe, while the instructor may become complacent as the lesson progresses. Usually, it’s the third or fourth time around the traffic pattern when the dual-instruction gear-up landing occurs. Similarly, touch-and-go practice often results in a gear-up landing, whether during dual instruction or flown solo. The pilot may ‘remember’ lowering the gear from an earlier landing, and forget on what becomes the last time around the pattern. Those who won’t—tip #6: Keep your edge when flying with an instructor. Don’t abdicate your pilot-in-command responsibility to the person in the right seat. 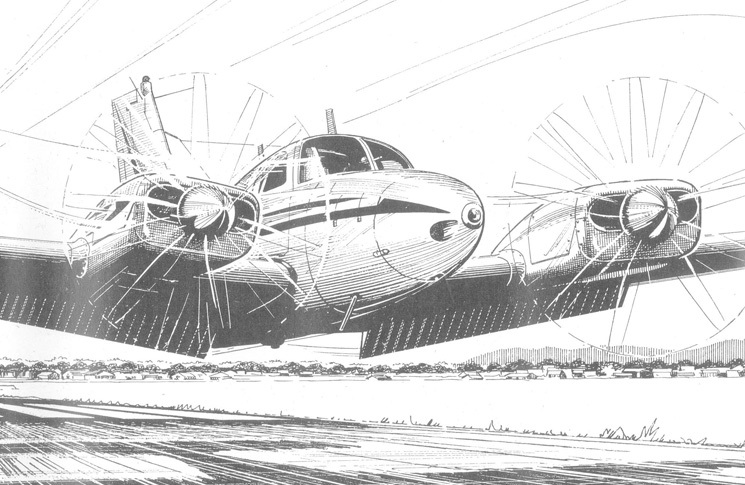 Those who won’t —tip #7: Avoid touch-and-goes in RG aeroplanes. Make all landings to a full stop, which allows time to ‘clean up’ the aeroplane, brief the landing (to yourself or with the instructor), and begin the next trip around the pattern as a distinct event with its own gear-down requirement. Most RG aeroplanes have gear-up warning systems, but there are normal flight situations where warning systems won’t help. For instance, most gear warning horns are rigged to sound when the throttle is brought to idle if the gear is not down. But if you use power to touchdown, which many pilots do in windy conditions, or to cushion even a normal landing, the gear warning horn will not sound. In some aeroplanes the gear warning also sounds if the flaps are fully down when the gear is not. This warning only works, however, if you select full flaps. Some pilots don’t use full flaps for every landing, especially in windy conditions, and in these cases the warning will not sound. In some aeroplanes the gear warning also flashes an annunciator on the instrument panel. Pilots generally focus their attention outside the aeroplane on final approach, however, and may not see a cockpit warning. Conditions that prevent the gear warning horn from sounding will also inhibit the annunicator light. If you make full-stall landings you get used to hearing the stall warning horn on touchdown. You may not notice the difference between a steady stall warning and the intermittent gear advisory. Lastly, modern noise-cancelling headsets often prevent the pilot from hearing a warning horn, unless the aeroplane has been modified to pipe the warning through the intercom. Those who won’t—tip #8: Understand the limitations on gear advisory systems, and actions you may take that inhibit their function. Don’t depend on warning systems to the exclusion of good landing gear discipline. Anyone can forget to extend the landing gear on any given day. Total time and time-in-type alone do not protect us from natural human limitations. We have to work consciously to avoid a gear-up landing every time we land the aeroplane. Concentrate on extending and verifying the landing gear every time you land, and you’ll not be one of those who have, or those who will—you’ll be one of those who won’t land the aeroplane gear up.